This week, Pro Landscaper picks the brain of Sian Parsons, senior designer at John Cullen Lighting to discover the intricacies of lighting outdoor social areas, and how it is best executed. What are some of the options available to light an outdoor social area? “The best outdoor social area lighting is one that gives you atmosphere and fun,” Sian says. “Stringing up external fairy lights can look beautiful, either in waves overhead, hanging in trees or simply wrapped around tree trunks. “It’s also worth considering low level washes under fixed benches or tables to add a glow, or step indicator lights for safety – perfect for a low and moody feeling,” Sian explains. How can lighting best be used to work around adverse environmental conditions? As all external lighting is stipulated to have an Ingress Protection (IP) rating applicable to the circumstances, safety is not a concern should regulations be followed. 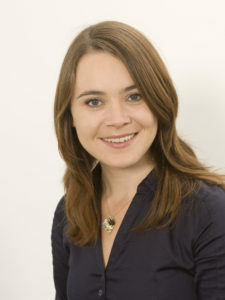 Sian says: “Lighting near or submerged in water must have the highest protection rating, as will anything in a marine environment. “It’s always worth gently wiping down any light fittings once a year or so, to prevent any dirt build up from interfering. How can outdoor lighting be made as discreet as possible? With many clients after a sleek design, without any unsightly wires, Sian takes us through how to keep a lighting scheme discreet. “The most discreet outdoor lighting options employ all of the qualities of discreet indoor fittings. Choose products that disappear into planting with green or black finishes, as well as those where the actual light source is hidden from view,” she explains. “Or, consider floor recessed uplights to a wall for a back drop of light. Any light source concealed from view in joinery or washing paths can invoke a real indoor-outdoor living room feeling,” she concludes. What lighting would you recommend around planted areas to allow for adjustments based upon the season? As the UK has fairly strong seasonal variations in terms of daylight, Sian recommends some tips on light intensity and warmth. “It’s best to keep light sources between 2400 – 2700 kelvin – colour temperature of the white. This keeps the lighting warm in tone, which adds to the atmosphere when in the garden, as cooler tones are harsher and less welcoming. 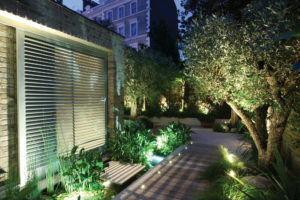 Which landscaping elements should be carefully considered when designing a lighting scheme?